One Padres rookie made the team out of spring training 1988. The other didn't. The one that didn't was future Hall of Famer Roberto Alomar. The one that did was Candy Sierra. "He's taking it hard, so hard," Sierra told The Los Angeles Times late that March of Alomar. "He doesn't understand why. Many people do not understand why." Alomar would make the majors soon enough. Sierra made his major league debut that year. Sierra's major league career was also over soon enough. 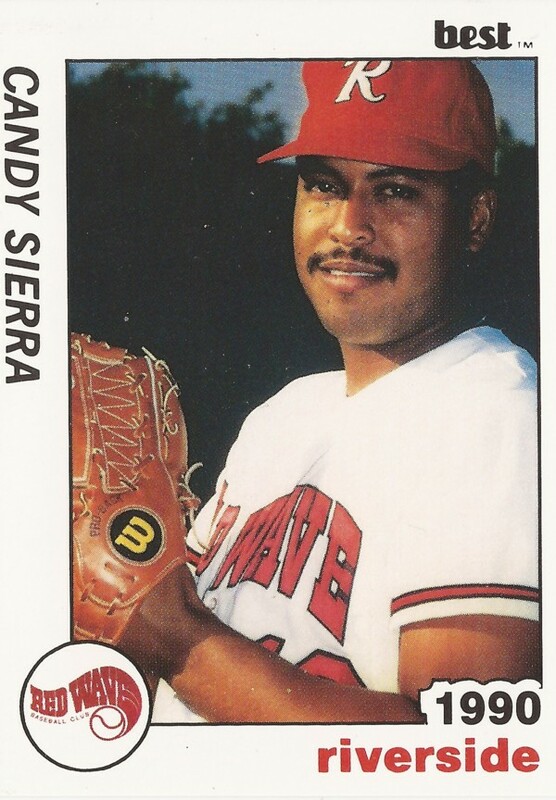 Sierra's career began in 1983, signed by the Padres as a 16-year-old free agent out of his native Puerto Rico. Sierra was also known by his given name, Ulises Sierra. Sierra started with the Padres at short-season Spokane. The hurler got into 23 games in relief, posting a 5.35 ERA. He moved to single-A Reno for 1984. He went 11-4 there, with a 4.46 ERA, serving as a starter and as a reliever. He also threw a seven-inning no-hitter against Modesto. Sierra made AA Beaumont in 1985, staying there for 1986. He played at AA Wichita in 1987. He then made the jump to major league San Diego to start 1988. 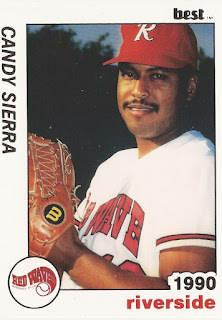 Sierra struck out six batters in four innings of work in one spring 1988 contest against Milwaukee. He made the big club. His debut came April 6. Coming on in relief, he gave up a hit that scored an inherited runner. He then loaded the bases in the next inning, but got out of it with a double play. In a game May 3, Sierra gave up a home run to the Cubs' Andre Dawson, among four earned he gave up in an inning of work. Overall, Sierra got into 15 games for the Padres, posting a 5.70 ERA. Then, in early June, the Padres sent Sierra to the Reds for Dennis Rasmussen. Sierra got into one game for the Reds, then the Reds sent him down to AAA Nashville. He never made it back to the majors. His 1989 season consisted of three starts at AA Chattanooga. He then returned to the Padres for 1990, playing between high-A Riverside and AAA Las Vegas. His final pro time came in 1991 with the Cubs at AA Charlotte.